By pyrochild, September 16, 2012 in Plugins - Publishing ONLY! 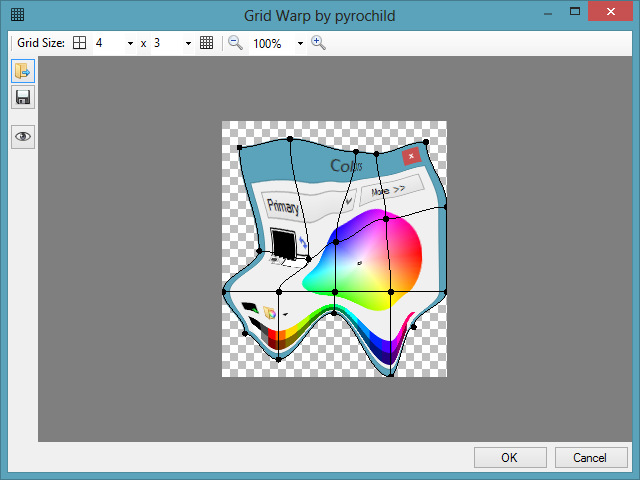 To change the background color or use a picture, right-click on the image in Grid Warp. This is going to be a brilliant addition to my tool box. Thanks pyrochild! I've just fixed a fun little bug that prevents you from using this plugin more than once in a session (oops) so anyone who downloaded before now might want to download it again. Pretty darn cool ... how about some antialiasing on those mesh lines though? Cheers & beers to you pryochild! Thanks so very much! how about some antialiasing on those mesh lines though? I like it better this way. They tended to get lost in the image when AAd. Maybe I just need new glasses. Amazing! I've been looking for this exact effect in order to make 3d animated flags. Getting the image to distort cleanly isn't that easy though. Right on! Fair 'nuff. It's difficult, if not impossible, to find a color or a blend op (e.g. xor) that works with all backgrounds. This is fantastic, works great. And yes pyro thanks again and million times. I'm now going back to an old project I worked on a few months ago and stopped since something like this was missing. I've downloaded it, but haven't had a chance to try it yet but I'm very excited to try this out. Thanks very much! Hat off to you Pyro (and others who make plug-ins). This looks like something I'll enjoy using - thanks so much . This will be useful. I'm so excited to try it out. Thanks, Pyro! I have been playing around with it for some time now, (WOW) . but i have to ask for some small things for you to add which are missing (from my point of view). I have made a grid of 10x10, and made my warps where and how i wanted them. now I wanted to make more small changes/adjusments but in a higher grid of 20x20. what is missing from my point of view is. 1. a question box asking are you sure ? before one change the grid and lose its long work. warping with a new/same grid over the last warp effect. THEN when the user is done with all his warping apply the effect to the original image in the PDN. what i want and keeps my line of work flowing the right way. applying the effect in one grid and getting back to the effect with a new grid makes me forget what i wanted to do . until they are happy with the results and only then apply it to the picture. before change the grid :-). Also I was wondering with another thing . would it be possible to add the option to select a number of "grid dots" and move then together ? the reason for this is saving the need to make the "same change" in a number of places. doing it one by one never gets the same results . takes longer , and each tooth is not the same as the other. around the eyes to look like a star is opening, (like morphing) but the changes need to be identical. then same amount giving me the results i need. 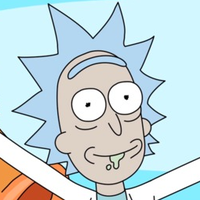 doing them one by one around the eyes , would give me two different effects to around each eye. (like an eyebrow) would enable me to create the effect and keep the curved line in the image. and if you ever plan to make such additions ? Certainly good suggestions but I'm extremely busy with school now. Hi Pyro and thank you for the answer. Now be at school its the number one priority !!! get back to this when you have the time. based on your plugin history/programming skills , i guess you are one of the top in your class ! Fantastic! I was just about to request this, for use in correcting perspective in photos. The current Perspective plug-in does not work for me, so I always had to do it in GIMP which I can now uninstall . But I would agree with the poster who said we need an "Undo", at least one level, if not more. Great stuff, I will make a donation soon.